Perdita Whacknoodle is a most unusual dog. Well, she says she’s the most intelligent dog in the world. Really. What’s more, she believes that ALL dogs are superior to ANY human. 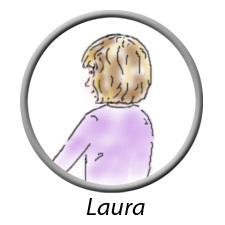 One day, out of the blue, she started beaming her thoughts directly into Laura’s head. Laura is a fourth-grader and a good student, and this surprised her on that Thursday afternoon. It would surprise you, too, if your dog suddenly started talking to you. Wouldn’t it? But that was just the beginning. It turned out that Perdita is a VERY talkative d og. Once Laura was sure she wasn’t going crazy, Laura decided to write down all the things Perdita tells her. Things like . . . what dogs talk about among themselves. 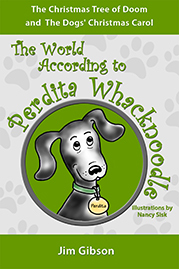 . . and Perdita’s odd ideas about the world. Perdita also talks a lot about how dogs are superior to people. Plus, Perdita tells Laura lots (and lots . . . and LOTS) of stories about her family. Not only does Perdita claim to be the world’s smartest dog, she says she is from the top two dog families in all the world. The Whacks (which she calls ‘more active dogs’) and the Noodles (which she calls ‘more thoughtful dogs’). 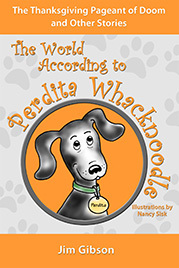 That makes her, of course, Perdita Whacknoodle. She says Par is a “swashbuckling explorer” who is usually off having exciting adventures–and who ALWAYS gets in trouble with the law. There are lots of exciting police chases, sometimes even involving helicopters and searchlights . . . but somehow Par never gets caught. And many of Perdita’s stories are about Par’s battles with the school principal, a chubby, pompous man named Mr. Wimpy. Wimpy becomes Par’s sworn enemy, along with the police and the evil dogcatcher. 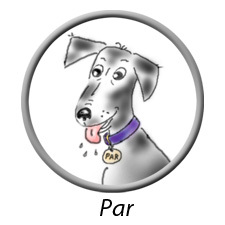 But no matter how much trouble Par gets in, or how much confusion he creates . . . he always escapes unharmed. You’ve N EVER known a dog like Perdita. We can guarantee you that. And you’ve never even imagined a dog like Par, because he’s one of a kind! Does YOUR dog have stories about his crazy Great-Grandpa or his looney cousins? Does your dog know all the secrets of the Language of Bark? 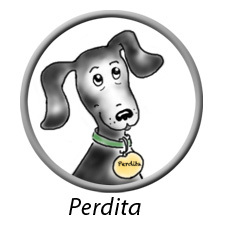 Does your dog agree with Perdita that dogs are superior to people in every way? 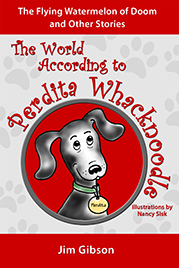 Until you read Perdita’s books, you really won’t know what YOUR dog might be thinking. Because . . . crazy as it seems . . . it could be that Perdita is telling the truth. Dog stories like you’ve never imagined in The World According to Perdita Whacknoodle books for the Amazon Kindle and Kindle apps. Available by the end of October. These look totally adorable! I am going to have to share these with my kids.